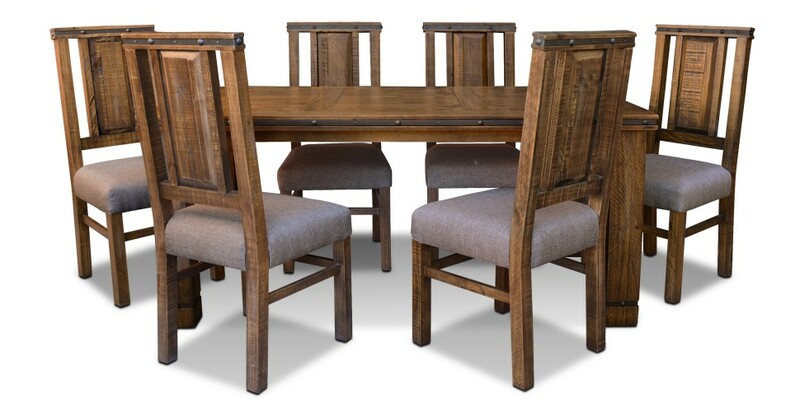 Our popular SImple Hacienda dining set with Console and Curio. 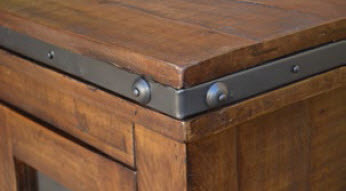 Solid distressed pine wood and Mexican wrought iron details. Treasure these hand-forged wrought iron details in this lovely dining room suite that also matches the Simple Rustic Hacienda Bedroom Suite. Notice how beautifully put together and carefully finished this suite is. 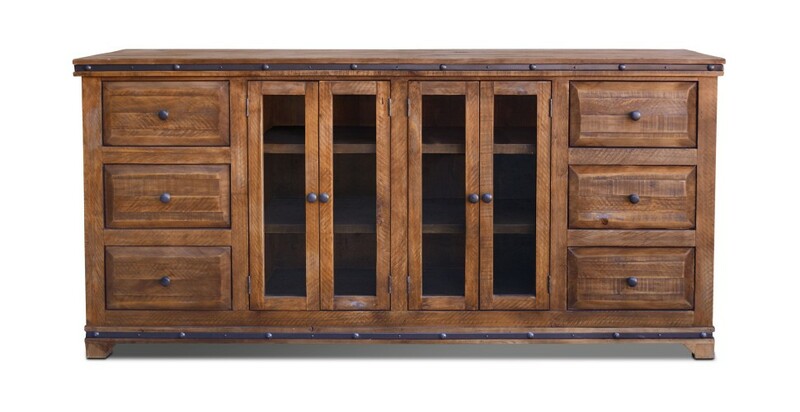 The wood finish features an appealing distressed yet very smooth effect. A gorgeous way to accent your home with Old World Hacienda notes. 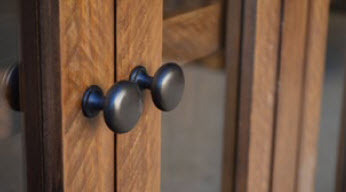 Available in the shown finish. 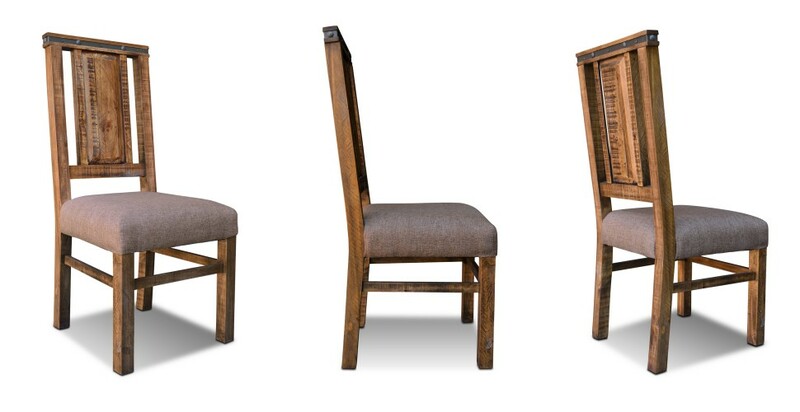 Chair upholstery is Mexican Cocoa canvas as shown. Click images below for close-up shots. 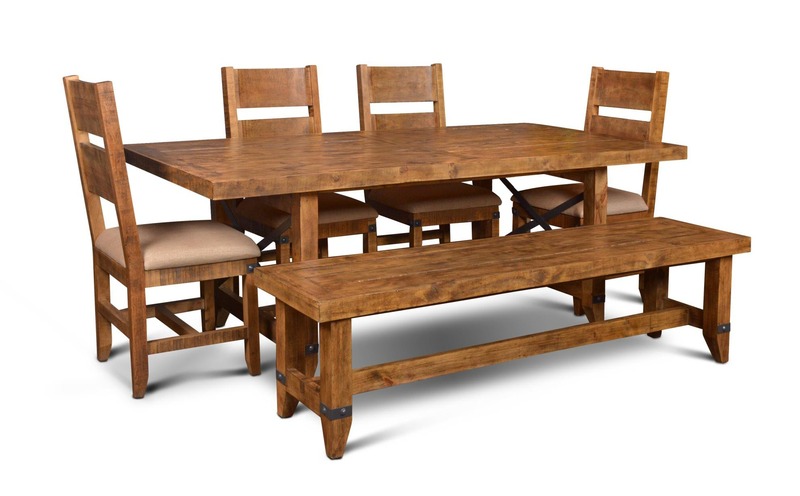 -Simple Rustic Hacineda Dining Room Set with 4 Chairs; Table 84" x 39" x 31"
-Simple Rustic Hacienda Console 75" x 18" x 36"
-Sumple Rustic Hacienda Curio 72" x 16" x 48"
Solid distressed pine wood and Mexican wrought iron details. 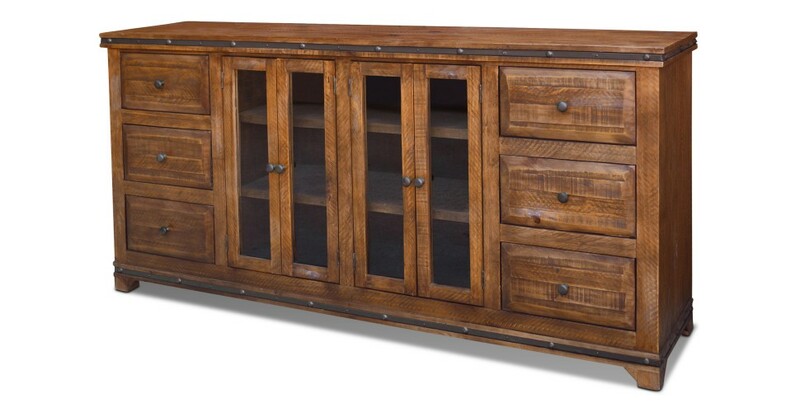 Reminiscent of Mission style furniture in its elegant lines. 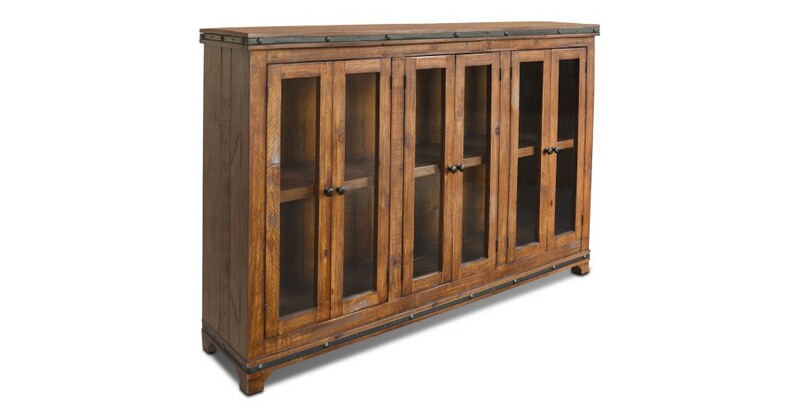 Solid pine wood with light distressing and Mexican wrought iron.